Your point of sale system (aka POS) is arguably the most important tool you have your store. From ringing up sales and taking payments to tracking your inventory and storing customer profiles, the right POS system can keep your retail biz running like a well-oiled machine. But like with most tools, a point of sale system is only as good as the person using it. That’s why it’s important that you and your team know the ins and out of your POS so you can get the most out of it. Each solution is different, so there’s no one right way to answer the question of how to use POS systems. But most modern solutions today have similar general functionalities that you should be aware of. This post will shed light on some of those features and offer tips on how to get the most out your point of sale solutions. From there, you can adjust the quantities depending on how many units the shopper is buying. Apply discounts – If you’re running a sale or would like to apply discounts to a line item or the entire basket, you should be able to use your POS to do so. If your system doesn’t have this feature, see if it lets you adjust the item price manually. Take payments – This is the part where you get paid. Pretty much all POS systems have the capabilities to take cash or credit card, so the process of accepting these payment types is pretty straightforward. Gift cards – If you sell gift cards, make sure they’re integrated with your POS so can accept them as a form of payment. Some point of sale solutions have partnerships with gift card companies so check with your provider and see if you can score a deal. Buy now, pay later – As its name clearly indicates, “buy now, pay later” is a service that lets customers take home items immediately and then pay for it in monthly installments. Popularized by companies like Afterpay, “buy now, pay later” is rapidly gaining popularity, particularly among Millennials and Gen Z shoppers. Layby / layaway – Layby is a service in which you take a deposit from a customer for a product, set that product aside, and let the customer pay it off at a later date. Mobile payments – Depending on your POS and payments processor, you may have the ability to take mobile payments such as Apple Pay. Check with your solution providers to learn more. Loyalty – If you have a loyalty program, you can also take loyalty points or rewards as a form or payment. Add notes – Finally, if you need to add special notes to a sale (e.g., if a customer has a special request or shipping an item to their address) you can add those details as a note. 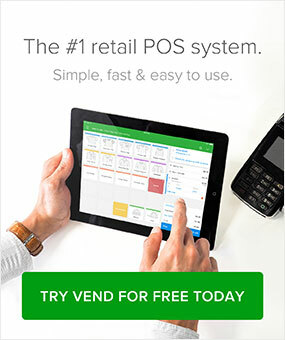 Did you know that Vend gives you access to the best in retail payments for iPad, Mac & PC? Learn more about our payment integrations so you can accept all the ways your customers want to pay — in-store, online and on-the go. Your retail sales and inventory are tightly connected, which is why the vast majority of modern POS systems (particularly those that run in the cloud) offer inventory management features. 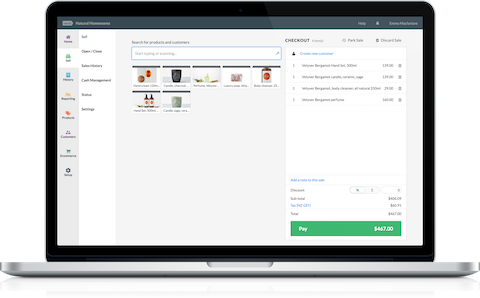 The specifics will vary from one system to the next, but at the most basic level, your POS should allow you to set up a product catalog that lists your items, their attributes, and their respective quantities. To do this, you typically need to enter product details manually into the system or import them using a CSV file, in which case you’ll need to grab a template from your POS vendor. Multi-store inventory management – This is critical if you’re running more than one retail stores. 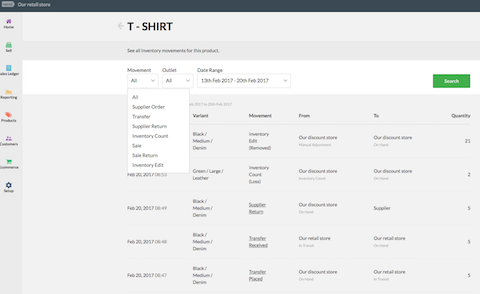 You want your POS / inventory management system to have centralized stock control capabilities so you can manage products from multiple stores from one platform. Ideally, your solution should enable you to transfer stock from one location to the next, as well as generate reports for each store. It’s a pain to manage stores on separate systems, so if you own a multi-outlet retail business (or you’re planning to expand) make sure you can do everything from a single solution. Multi-channel inventory management – Ditto for multi-channel retailers. If you sell both online and in-store, then your sales and stock movements should be synced across all your channels. This enables you to have a tighter handle on your inventory, so you know exactly what you have and where. Plus, you won’t risk overselling a product online. From your customers’ perspective, there’s nothing worse than ordering something online, only to learn that it’s unavailable in-store. Multi-channel stock control also enables you to offer services like buy online, pick up in-store, so your online shoppers can choose to swing by your shop to get their ecommerce orders. Stock counts – Conducting physical inventory counts regularly is essential to staying on top of stock, so it’s a nice bonus to have a system that has built-in stock-taking features. With shoppers expecting higher levels of personalization from retailers, customer management capabilities aren’t just “nice to have” — they’re practically table stakes. So if your current POS doesn’t have any CRM capabilities, consider finding a solution that does. Customer database – Ideally, your system should allow you to create customer profiles that contain their contact info and purchase histories. Customer groups – Being able to create customer groups or segments is also essential, as this will allow you to easily create tailored messaging and promotions. For example, you could create a group for VIP shoppers for when you want to send exclusive perks. Loyalty program – Speaking of which, offering perks and rewards is a proven way of generating repeat business, so set up a loyalty program if you can. Check with your POS if it has built-in loyalty offerings. If not, you can always opt for third-party integrations (more on this later). Modern POS systems have reporting capabilities that shed light on your sales and inventory metrics. Again, each system is different, so you’ll want to explore your point of sale solution to see what types of reports are available. Inventory On Hand – You always want to know how much merchandise you have in your stores, so if there’s a report that you should run regularly, it should be this one. Low Stock – This report tells you which items are running low, so you can avoid out-of-stocks. It’s best to run this report on a regular basis so you can spot patterns around which items are always running low. Product Performance Report – How fast are items selling? Which products are making the most money? Such questions can be answered by your product performance report. Ideally, this report should tell you how much merchandise you’ve sold over a given time period as well as a summary of items sold per month or per week. Use the product performance report to determine which items are worth investing in and which ones shouldn’t be re-ordered. Sales Summary – This report gives you an overview of your sales for a given time period. Your sales report should also show your cost of goods sold, gross profit, margins, and tax, so you can have a better idea of how much money is actually going back to your business. Sales Report Per Product and Product Type – This type of report makes it easy to identify your best (and worst) selling products, so you can determine the right course of action. If a particular product is selling well, for example, you could consider ordering more of it. On the flip side, if a product isn’t performing, then you’d want to know sooner rather than later so you can run promotions before the season ends. Sales Report Per Customer or Customer Group – It’s a good idea to generate “sales per customer” or “sales per customer group” reports. This will allow you to identify your VIP customers as well as those who aren’t fully engaging with your brand, so you can tailor your marketing and communications accordingly. Want to learn more about the metrics you should track? We’ve put together a list of the top retail reports you should keep an eye on. If you’re using a cloud-based POS system, you can extend its capabilities through integrations. This means you can connect your POS to another platform (e.g., your accounting software, payment processor, ecommerce platform, etc.) so that data flows smoothly from one system to the other. For example, if you integrate your accounting software with your POS, both systems should be able to “talk” to each other and sync sales and tax information. Or, if you’re connecting your point of sale with your online shopping cart, then the systems should sync your sales and inventory data so you can manage your stock across both sales channels. Option #1: Use preferred add-ons – This is the simplest way to connect different software solutions. Check with your POS vendor and see if they have existing integrations with other systems. For example, if you’re looking to start selling online, then see if your current POS has integrations with other online shopping carts. Preferred integrations are typically more user-friendly because your providers have already created the integration for you. Option #2: Do it yourself – If your solution doesn’t have existing integrations with your preferred software, then you can choose to do it yourself through your app’s API. This requires some technical know-how, but if you’re equipped to do it, many merchants have found success in building the integrations themselves. Option #3: Find an expert partner – Don’t have the technical chops to create an integration? Find a partner who can help. Some POS solutions have networks of existing experts who can help retailers set up their software. Consult with your vendor and see if they can recommend technology partners who can get the job done. 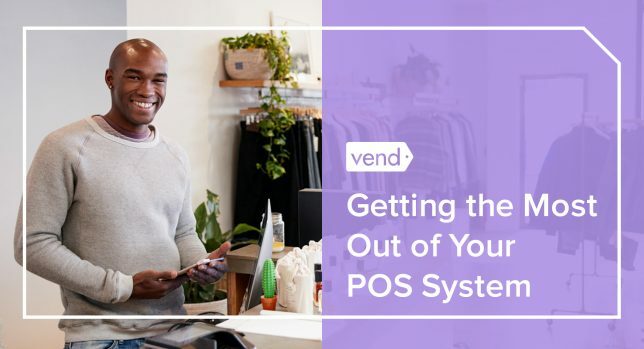 If you need more info on how to effectively compare different point of sale solutions, download Vend’s POS Buyer’s Guide. 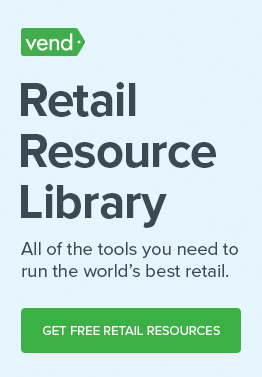 In this resource, you will learn the 7 secrets to find a reliable POS system, and avoid the costly mistakes most retailers make when choosing a new retail platform. The first step to getting to the best out of your point of sale system (or any platform, for that matter) is to be curious. Most solutions out there packed with useful features, but they go unnoticed because users don’t take the time to really explore the system. Don’t let that happen to you. If you currently have an existing POS, play around with it to ensure that you’re utilizing all its capabilities. You can also check out your system’s resources (i.e., help center, YouTube channel, blog, etc.,) to gain more knowledge about its different functions and features. In doing so, you’ll not only learn how to use the system, but you’ll be able to get the most out of it and take your biz to the next level.